It took me a week to find the product but when I finally did, my daughter and I tested it the same night after dinner. I loved the peach flavor. I’m not sure I actually tasted mango but the peach flavor was really there. My daughter didn’t like it, she prefers ordinary apple sauce. I won’t buy it for her but I will for me. 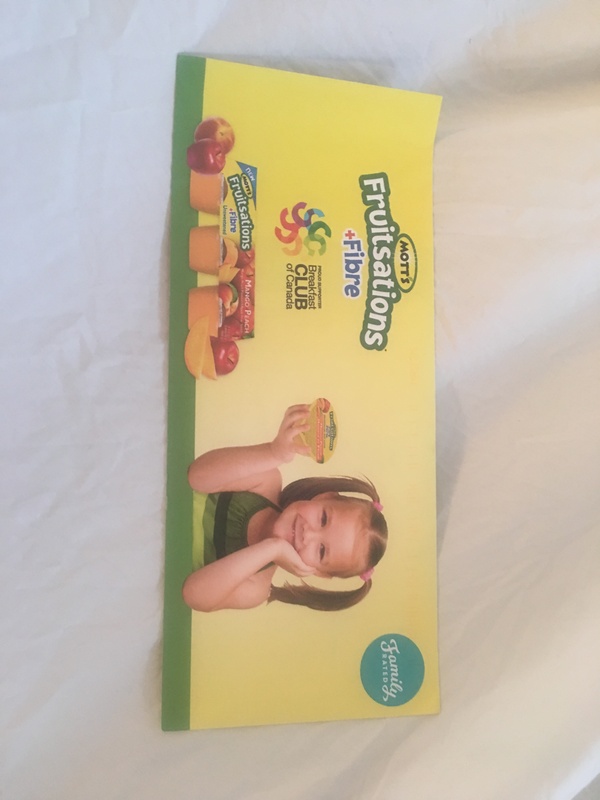 I tried this product with the most critical reviewers I know...my kids! They devoured the cup and asked for more. Needless to say it was a hit and I will be incorporating the cups in their school lunches. Finally something they eat and it’s good for them too. Je vais continuer d'acheter ce produit! 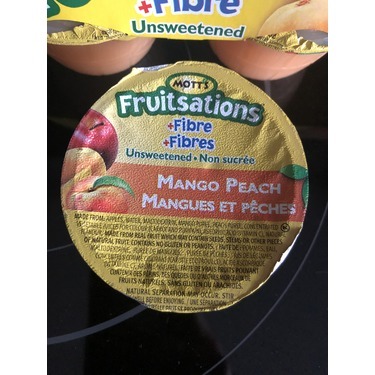 J'achète des compotes Mott's Fruitsations + Fibre non sucrées depuis quelques années maintenant. 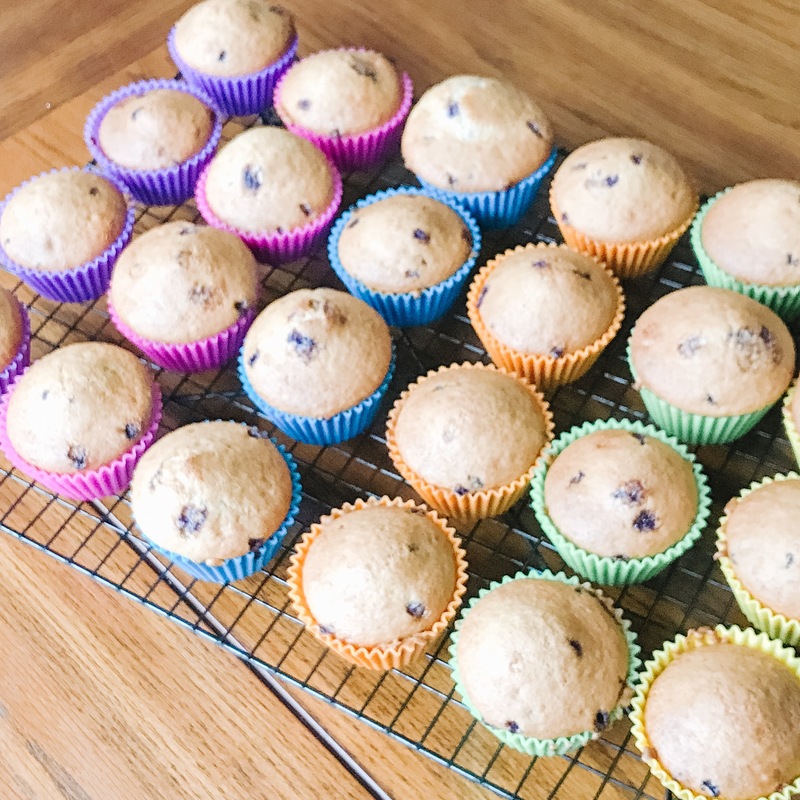 Définitivement mon meilleur choix dans les rayons pour le gouter de mes enfants. J'ai pu tester gratuitement la saveur mangue pêche que je n'avais jamais gouté jusqu'à présent... encore un délice! 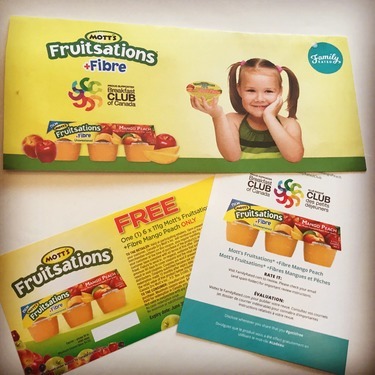 Une mention spéciale pour leur action avec le "Club des petits déjeuners du Canada"
I received this as a free product thanks to #FamilyRatedClub and #MottsFruitsationsMangoPeach. Great product with great taste as well! We will be purschasing again for sure in the future. And trying other flavours as well to see if they are as good. Je dois dire que j’ai été déçu de ce produit. 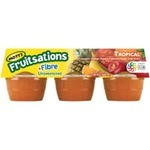 Il y a des morceaux de pépins de fruits et de pelure dans la purée. Pour le goût c’était juste correct. Je ne rachèterai pas ce produit. J'ai reçu gratuitement ce produit pour le tester . 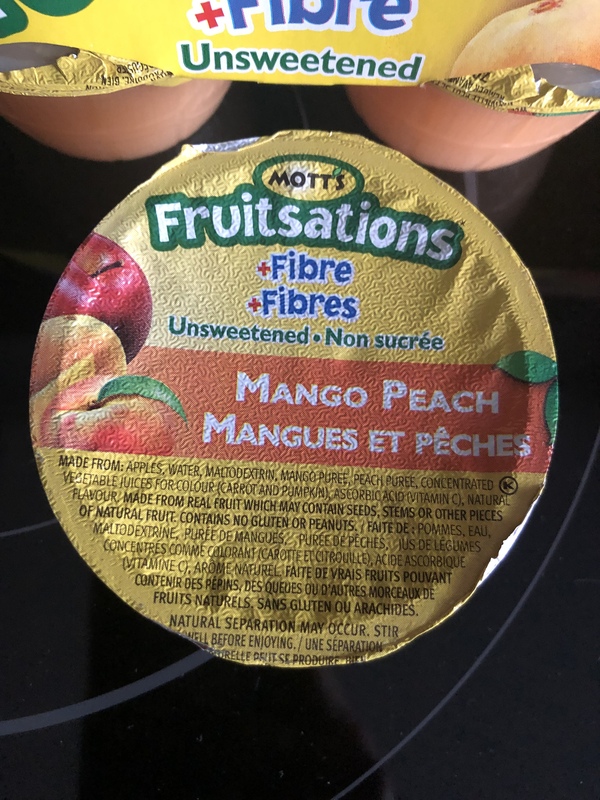 MOi et mes enfants nous avons dégusté le nouveau Motts Fruitsations en question à la mangue et pêche et nous avons trouvé que c'était aussi bon que ceux aux pommes ! Nous le recommandons à la famille et amis. Nous le recommandons également à vous les lecteurs ! 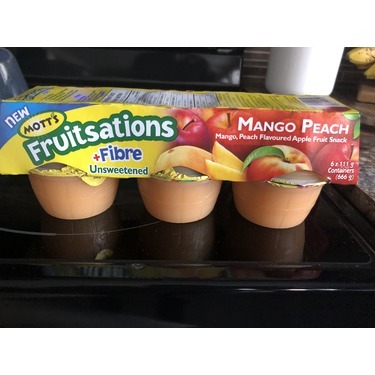 My whole family loved the Mott's Fruitsations +Fibre mango peach! 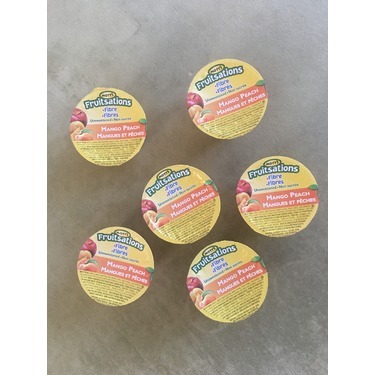 My daughter usually doesn't like any of the unsweetened apple sauces, so I was quite surprised when she tried this one and ASKED me to these in her lunch. 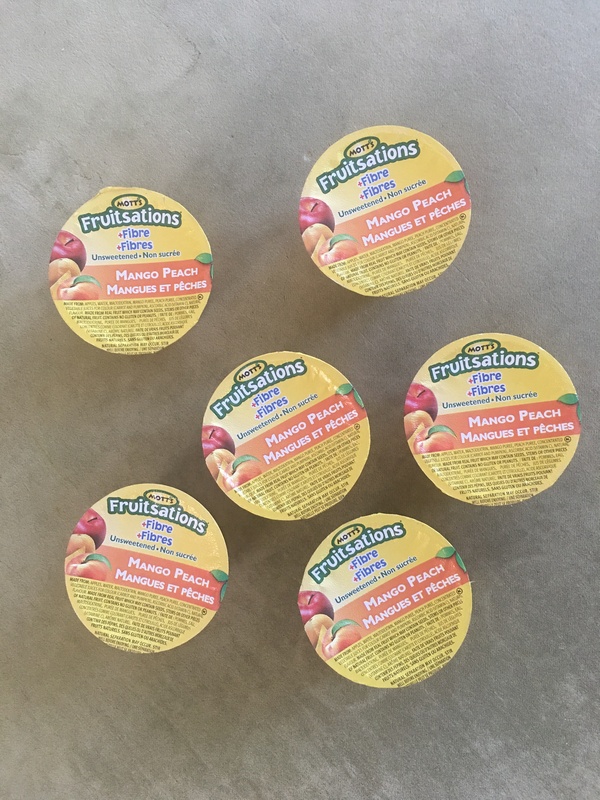 These have a pleasant peach mango flavor with just the right amount of sweetness. I also love the fact that they have additional fibre and that Mott's partnered with the Breakfast Club of Canada! 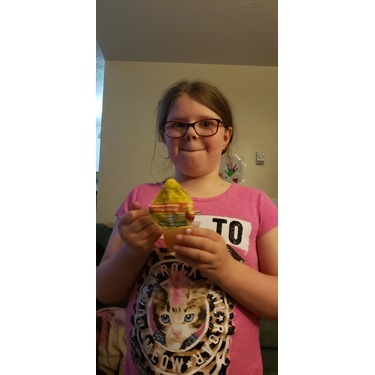 Thank you Family Rated for the opportunity to try this product for free. I will be purchasing these in the future! I got this product free to try from Family Rated in exchange for my review. This is a super tasty apple sauce! I shared a cup with my 10 month old little girl as a snack for after her breakfast. 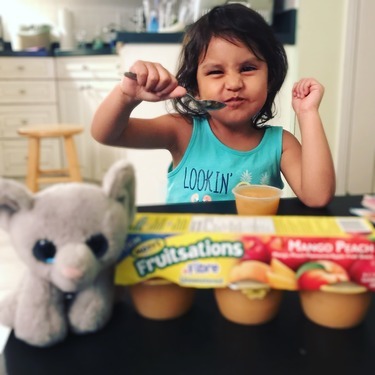 She loved the flavour and couldn't wait for her next bite. I think it would make a great addition to any child's breakfast. It is well priced for the 6 cups as well. I would recommend this to family and friends. Such a delicious and healthy snack! When my daughter tried this for breakfast for the very first time, she definitely loved it. She finished one cup instantly. 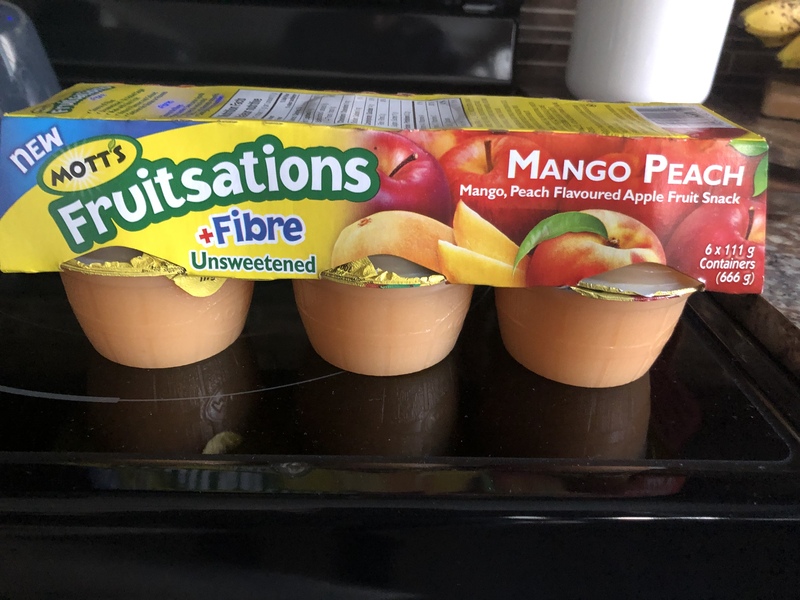 Delicious mango and peach combination, with lots of fibre that my daughter who has problems with constipation, had a successful output after finishing 1 cup. Wow, that was quick! Lol Glad to include this product for her breakfast meals and snacks. Thanks for the freebie! We will definitely buy this over and over again. Highly recommended for kids and adults. 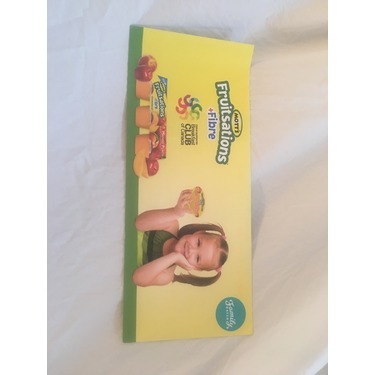 We received this product to try for free. 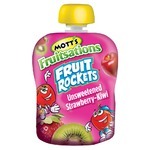 My 3 year old loves fruit pouches and is fairly picky about trying new things so I was skeptical. 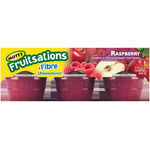 When he first saw this he called it a fruit pouch cup and couldn't wait to try it. Well it did not disappoint. Both he and I absolutely loved it. 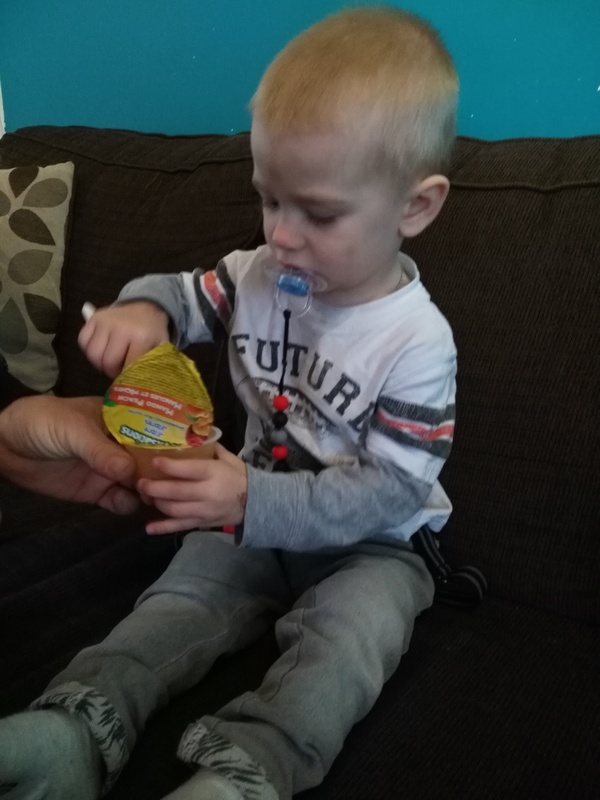 My son loves the taste and ate it very quickly wanting more. 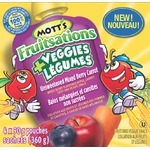 I love it because there is no sugar added and it has fibre in it making it a healthier snack for my boys. We love the taste and will definitely be adding this to our weekly grocery shopping list. It is a great snack for any time of day.